When you invest in real estate using U.S.-based IRA money and a mortgage, you pay tax on the profits attributable to that mortgage at about 35%. This is called Unrelated Business Income Tax (UBIT) and applies to all IRA investments with a mortgage. For example, let’s say you buy a rental property in Belize for $100,000. $50,000 of the purchase price comes from your IRA and $50,000 from a non-recourse loan. Because half the money to buy the property was a loan, half the profit when you sell is taxable at 35% and half flows into your IRA tax-free. Likewise, half of the net profits from rental income will be taxed as UBIT. The same applies to leverage in your brokerage or currency trading account. If you get 100-to-1 from your offshore FX broker, virtually all your gains will be taxed at 35% as earned. You don’t get to hold these profits tax deferred offshore. And the same goes for ordinary income earned from investing in an active business. If your IRA LLC invests in a foreign partnership or limited liability company, which doesn’t pay local corporate tax on its profits before passing them through to your IRA, you have UBIT. If you could invest in pass-through entities using an IRA without UBIT, you could receive a portion of the pre-tax profits of an active business. Those profits would be then held in your IRA tax-deferred (traditional IRA) or tax-free (ROTH). Partnerships were intended to avoid corporate level tax by passing the profits onto the owner's personal tax return through a K-1 where they would be taxed as earned. To level the playing field, the IRS taxes profits from businesses structured as flow-through entities (LLCs, partnerships, LLPs, etc.) 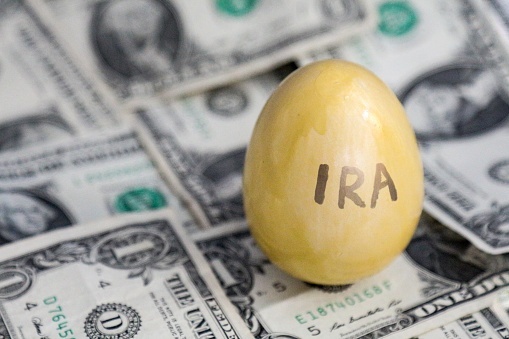 before they are deposited into your IRA. You can own an active business or hedge fund in your IRA, you just don’t get a tax benefit from doing so. That is, you don’t get a tax benefit if the business is in the United States. Also, you don’t get a benefit if the leveraged real estate or brokerage transaction is inside a U.S. IRA LLC. In the United States you can “eliminate” UBIT by forming a U.S. corporation to make your investments. Your IRA invests in this corporation and it buys the property with a non-recourse mortgage, invests in an active business structured as partnerships, or sets up a leveraged brokerage account. Your U.S. corporation pays U.S. tax at 35% and passes the net profits on to your IRA. Because these profits have been converted from ordinary gains to dividends, you don’t pay UBIT at the IRA level. You paid 35% corporate tax on the gains, but eliminated the headaches associated with tax at the retirement account level. You can also eliminate UBIT offshore by forming a foreign corporation and sending net profits from the corporation into the offshore IRA as a dividend. This structure is called a UBIT blocker. You pay corporate tax in the U.S. because the IRS taxes all corporate profits as earned. If you set up offshore, in a country that won’t tax your corporate profits, you can pass 100% of the gain to your IRA as a dividend. That is to say, you can eliminate UBIT in foreign investments by properly structuring an offshore IRA and offshore corporation. Note that this won’t work with U.S. investments, only foreign real estate, businesses, and leveraged investments. No matter your offshore structure, if you invest in the United States, Uncle Sam wants his cut! I hope you’ve found this conversation on how to structure large offshore IRAs to be helpful. UBIT and international tax planning is a very complex topic and I’ve just scratched the surface of how to plan an advanced offshore IRA. For more information about planning an advanced offshore IRA investment structure, contact Georgetown Trust or check out NagelLaw.com. Joel Nagel is a U.S. attorney that “represents U.S. capital abroad.” His clients include multinationals and high net worth individuals looking to secure and diversify their assets outside of the United States. He is also the former Belize Ambassador to Austria.